Beaulieu Vineyard traces its roots to the turn of the 20th century, when Georges de Latour purchased a vineyard in the Napa Valley near the village of Rutherford. No one knows for sure, but it’s a good bet the BV wines of that era weren’t much of a threat to the great chateaux and domaines of France. It wasn’t until 1938, following the end of Prohibition, that de Latour journeyed to France and hired a brilliant young Russian-born winemaker named Andre Tchelistcheff to run the winery. 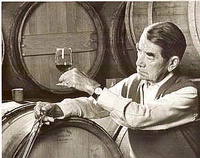 For the next several decades Tchelistcheff was America’s most influential winemaker. Such legendary winemakers as Mike Grgich and Joe Heitz considered Tchelistcheff their mentor, and his legacy at Beaulieu continued long after his retirement from the winery in 1973. It was under Tchelistcheff that the iconic BV Georges de Latour Private Reserve Cabernet Sauvignon was created. For more than a half-century it was one of America’s most important wines, a worthy rival to the finest red wines produced anywhere in the world. BV and the Georges de Latour Private Reserve lost some of their shine in the last decade when technical issues (since corrected) robbed the winery of its aura of invincibility, but there are signs Beaulieu Vineyard is ready to resume its former role as the model California winery producing suave cabernet-based wines that are benchmarks for quality and style. The BV wines put on a dazzling display March 16-17 at the 30th annual San Diego International Wine Competition, claiming two of the most prestigious awards – Best of Show red wine for the 2009 Tapestry Reserve, $61, and Best of Class Cabernet Sauvignon for the 2009 Georges de Latour Private Reserve Cabernet Sauvignon, $126 – as it was on its way to being named Winery of the Year. BV won three other medals for a total of five, but it wasn’t the number of medals that impressed as much as the quality of the wines that won. Franz gave the Georges de Latour Private Reserve Cabernet a numerical score of 98; I rated it at 97 points, and gave the BV Tapestry Reserve, a red Bordeaux-style blend, a rating of 95 points. Tapestry narrowly edged the Georges de Latour in the final vote for Best of Show red wine, when all 34 judges taste the same wines and weigh in, opting for the immediate appeal of the delicious Tapestry over the greater long-term ageing potential of the Georges de Latour. If total medals were the determining factor in the Winery of the Year decision, V. Sattui of the Napa Valley would have been the runaway winner. Sattui entered 29 wines and win 22 medals, including four platinum awards and a slew of golds. Platinum awards are conveyed on all gold-medal wines that are advanced by the judges to the championship rounds of the tasting, where best of class and best of show awards are determined. At that stage of the judging all of the wines being evaluated are superb and it becomes a beauty contest. The judges fell in love with a $9 dry riesling from Wollersheim Winery in Prairie du Sac, Wisconsin and gave it the nod for Wine of the Year. This on the heels of Wollersheim’s stellar performance at the 2012 San Diego International, when its wines won four platinum awards on the way to the winery being named 2012 SDIWC Winery of the Year. In other interesting developments at the 30th San Diego International, the California winery Gnarly Head won five medals, all of the gold, with wines that retail for $12 or less. Those looking for good wine at a great price should take heed. The Italian winery Bolla had a similar experience, going gold on all four of its medal-winning wines, including the Amarone della Valpolicella Classico DOC ($40). The rest of Bolla’s big winners ranged in price from $10 to $14. Bolla has emerged recently from decades of mediocrity to produce a number of top-notch Veronese wines. The gold medals are a solid indication the turnaround at Bolla continues. A complete list of winners can be found at SDIWC.com. Winning wines will be poured at the annual Wine & Roses Charity Wine Tasting and Sale in June 9 in San Diego. Cases of medal-winning wines, donated by the winning wineries, will be sold at the event at generous discounts. Information about Wine & Roses, which provides “camperships” to send kids to a summer youth camp, is available at WineandRoses.net. Email comments to whitleyonwine@yahoo.com and follow Robert on Twitter at @wineguru.